Idaho’s per-pupil spending is No. 50 in the nation — and holding, ahead of only neighboring Utah. That’s one takeaway from a U.S. Department of Education report released Thursday. In 2015-16, Idaho spent $7,178 per pupil. Across the United States, per-pupil spending came in at $11,841 — meaning Idaho spent about 61 percent of the national average. Utah ranked dead last among the 50 states and the District of Columbia, at $7,006 per pupil. New York ranked No. 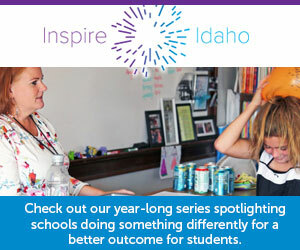 1 nationally, spending $22,231 per pupil, more than tripling Idaho’s spending rate. When adjusted for inflation, Idaho’s per-pupil spending increased by 2.9 percent, slightly ahead of the national increase of 2.8 percent. The new report, issued by the feds’ National Center for Education Statistics, also breaks down where states get their education dollars — and, ultimately, where those dollars go. Idaho schools are more heavily dependent on state and federal dollars than their counterparts across the country. Local dollars account for only 24 percent of Idaho’s education spending, compared to 45 percent nationally. Idaho spends about 80 percent of its education funding on employee salaries and benefits, mirroring the national average.